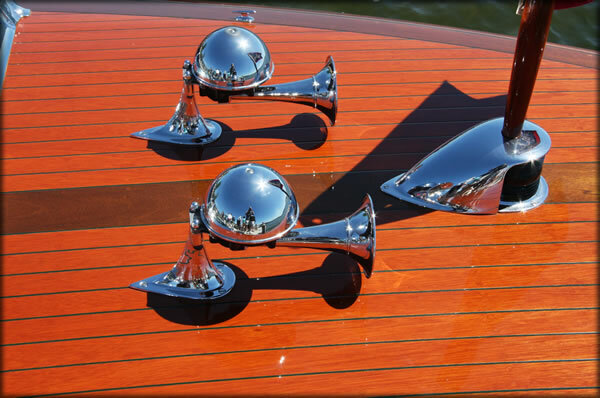 Specializing in deck hardware and restorations for classic wooden boats from 1900 to 1967, including Running hardware, Gauges, Motors and parts. We have a full restoration facility along with Classic boats for sale from complete projects to fully restored water ready boats. Click here to download our parts catalog including new and used parts along with restoration supplies. We have 1000’s of parts, so call if you do not see what you are looking for. Want to sell your boat or hardware? We are always looking for boats and hardware give us call we will pay you a fair price. For the most current list of parts sign up for our newsletter.